STAFF and children at Blackhorse Primary School in Emersons Green are celebrating a highly positive Ofsted report. The inspectors who visited the school in January judged it to be good overall with some outstanding features. They said Blackhorse had many strengths and praised the “inspirational leadership” of headteacher Simon Botten and his team. 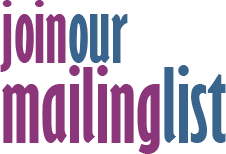 Pupils’ behaviour was said to be outstanding and their attitudes to learning exemplary. The Ofsted report quotes an anonymous staff survey comment that noted ‘The distance the school has travelled is significant. I am proud to work here and with such dedicated staff and enthusiastic learners’. It goes on to state that when the pupils were asked by the inspectors what they would change the children looked shocked and firmly told the inspector that they would change nothing at all! “Parents comment on how the school develops the whole child and nurtures their interests and talents beyond the classroom,” the inspectors said. 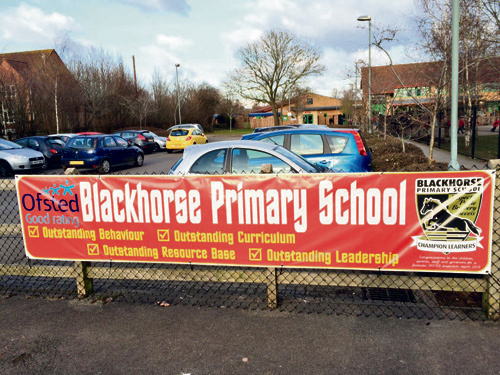 Blackhorse Primary’s PE and sports provision was singled out for praise. The school has won 32 trophies over 19 different sports in the last three years and gained three regional awards. It recently became the first school in South Gloucestershire to earn the Science and Learning Outside the Classroom Quality Marks, which, inspectors said, contributed to the outstanding curriculum offer. Teaching was rated as good overall, with much that was outstanding. Positive relationships between staff and pupils, strong subject knowledge and high expectations were highlighted. Inspectors said children made good progress in reading, writing and maths. The school was praised for the way it teaches children about British values. Social, moral, spiritual and cultural education was said to be “a significant strength of the school [which] is threaded throughout the curriculum. “The core values of respect, pride, bravery and success are strongly promoted,” the report said. The school’s Resource Base for children with language and communication needs (predominantly autism) was also acclaimed, with all four key areas of teaching, attainment, behaviour and leadership within the Resource Base graded Outstanding.